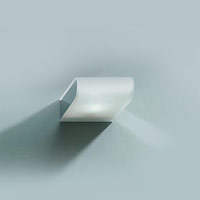 The wall lamp Book is available in different sizes and as clip-on-light for mirrors. DECOR WALTHER as one of the leading suppliers for high quality bathroom design products in Germany. DECOR WALTHER products convince by a high standard in form and quality. The company stocks lights, cosmetic mirrors, accessoires, lifestyle products and complete lines for the bath. All products have been designed to a standart that combines good form with high quality. The highest quality such as brass, stainless steel, porcelaine, crysatl, leather orthermally treated wood, as well as practical details and well thought-out functions combine with modern and timeless design to guarantee long life. Do you have a question about "book 10"? How can we contact you?